Distinguished spinner ring with a slight dome and a recessed band. 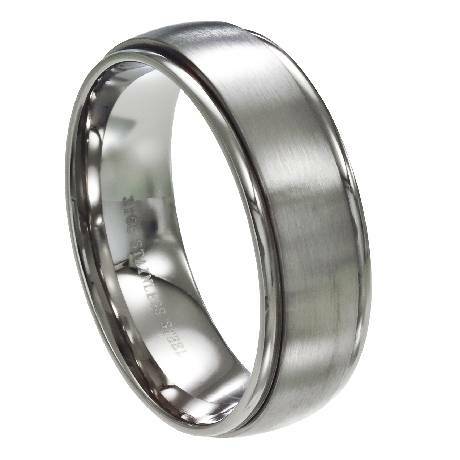 This is a very down to earth spinning ring and is made of hypoallergenic surgical stainless steel. Great ring for fun or fashion. I bought this for our son. I asked him how he liked it and he said it was of very good quality. Fit was perfect. No complaints. If I ever wanted any more rings, I would definitely come back. 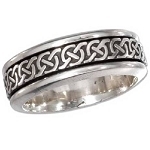 I bought this to replace my husbands spinner wedding band he lost in the lake... He absolutely loves it so much! It's just like the one he had and it looks very nice. Perfect size and width. Great product, my husband loved it! It was what I expected and arrived in a reasonable time. Ring is awesome! High quality, comfortable, an excellent price. Everything as promised. love this ring. It looks classy and nice and is also fun to play with around your finger! Great quality ring.